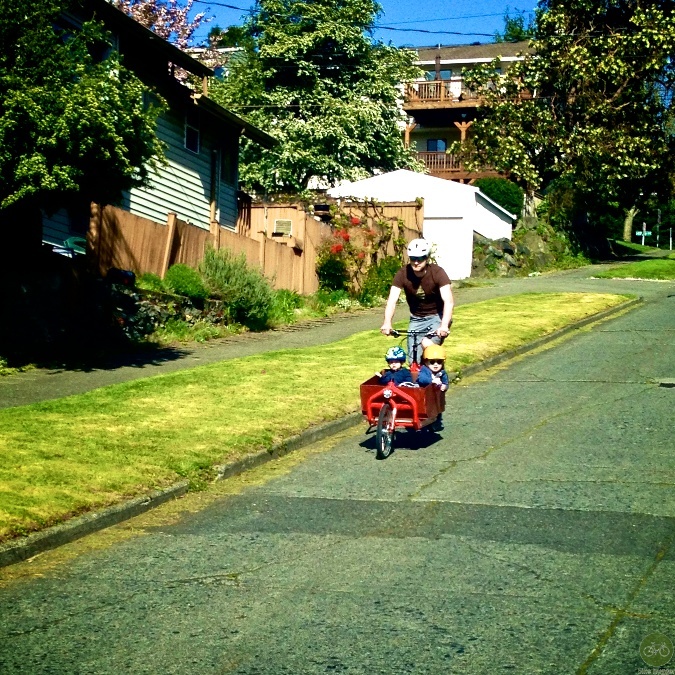 West Seattle cyclist react with fear manifesting to aggression after yesterdays death. Watched a woman stop to yell at car in a bike lane. and a reminder of where this blog started. 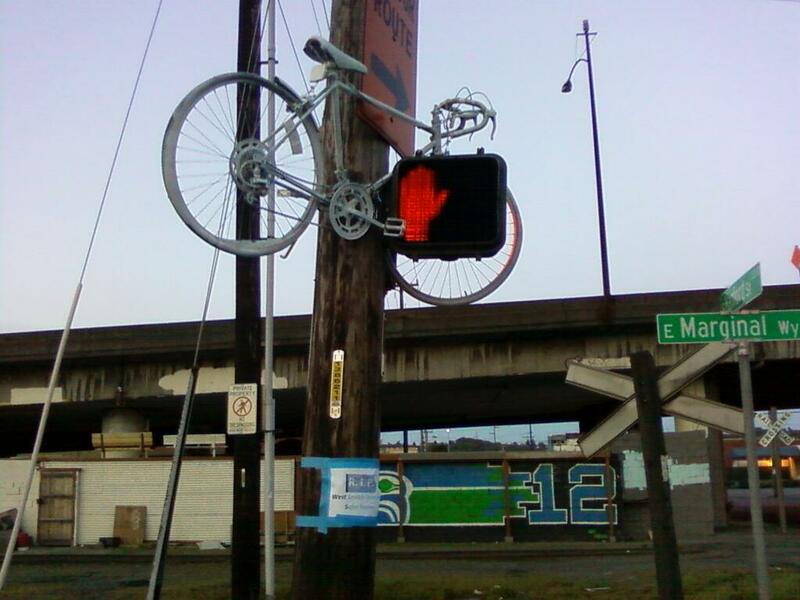 I’ll ride later today on Alaskan Way and past this Ghost Bike. Think that box bike maybe this one, with another kid in it.